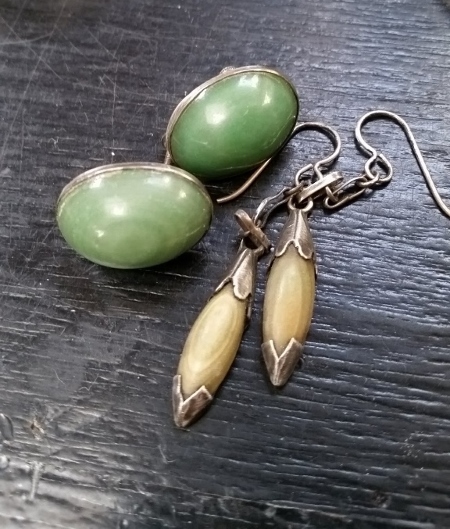 Can anyone identify the cab material used in these vintage earrings? The narrow dangles I've owned for over a decade, and I think they've faded from the olive color they used to be. The big ovates I just purchased. Both are set in sterling silver, both are older vintage pieces.